This RGB LED HAT can be easily attached on top of the Raspberry Pi to display colorful effect, and controlled by only one signal pin. 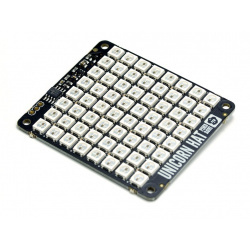 This HAT plugs into your Pi and makes it super easy to control RGB matrices and create a colorful scrolling display or mini LED wall with ease. Pi ZERO USERS PLEASE NOTE: To the best of our knowledge this type of converter draws too much power from the HDMI port to use on the Raspberry pi ZERO. It could end up killing the ZERO. No issues have been reported on the Pi3 with prolonged use. 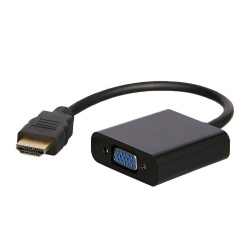 This is a HDMI to VGA convert which will allow you to convert your digital HDMI output signal, into an analog signal. Perfect for hooking your Pi up to a computer screen. 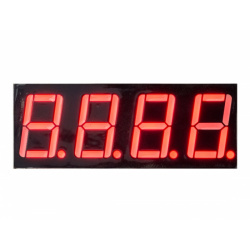 This lovely little (14.2mm) seven segment display provides excellent segment uniformity and is highly visible up to seven meters away. 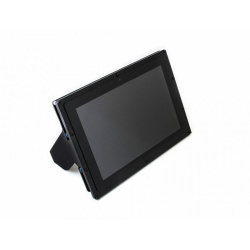 It's ultra bright, and provides great readability even in bright ambient light! 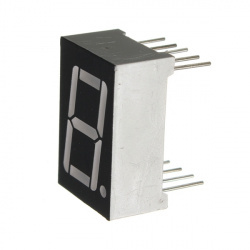 It has four digits and a decimal point on each digit, designed for numeric output, so you can use it to add a clock, timer or counter into your next project. This is an ultra bright RED colour. 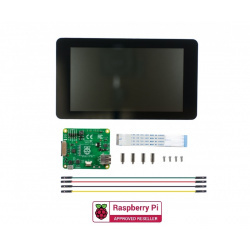 This device uses the Pi's HDMI output for display, and the Pi's USB port for touch control. 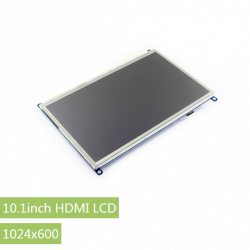 Assembly of the Waveshare 10.1" screen is easy, just follow our simple guide here. Please Note. This device does require some simple set up. You will need a UK to EU power adapter. 1. The left side of the module is the input port, and the right is the output port. 2. 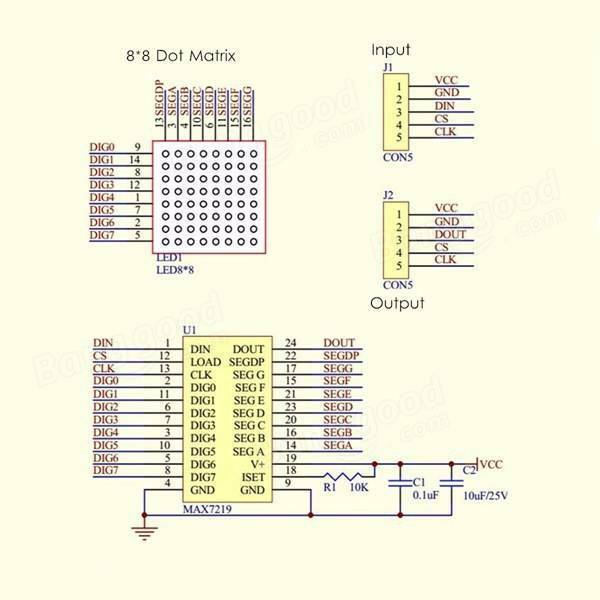 Control of a single module, the input port only need to receive CPU. 3. The more a module cascade and input end of the first module is connected with the CPU and input end of the input end of the output end is connected to the second module, output terminal of the second module connected with the three modules, and so on. 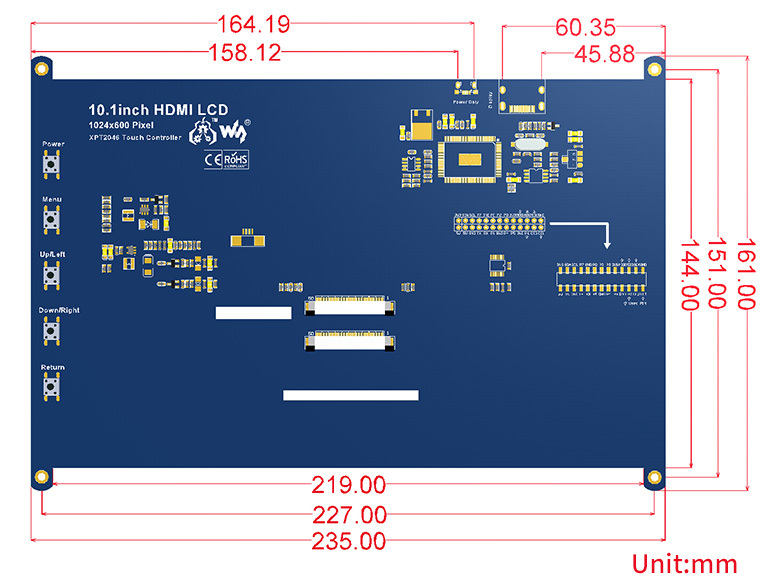 Pi-View is a high quality, high performance, convenient and compact electronic device which converts the digital HDMI video signals which are outputted from Raspberry Pi, into an analogue signal required by the widely used VGA based computer displays still widely used around the world. Simple device design in the form of a small adaptor with integrated VGA socket output, with short cable complete with HDMI plug for connection to the HDMI socket on Raspberry Pi. No external power supply is required, and in operation, the device is plug and play. Material: 99% high-purity oxygen-free copper wire core, 30μ gold-plated terminals for minimal signal loss, and gold-plated HDMI plug for high abrasion resistance. This product contains only the display. Raspberry Pi, case and cables are shown for illustration purposes only and not included. 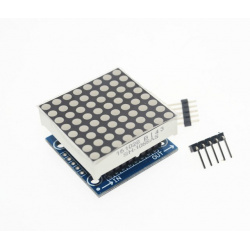 It's designed to plug directly onto the Raspberry Pi 2 or Raspberry Pi 1 Model A+ or B+ . While not specifically designed for Pi Model A or B,you can use it with A/B if you solder in an extra-tall 2x13 header (not included) instead of the included 2x20 header. This design uses the hardware SPI pins (SCK, MOSI, MISO, CE0, CE1) as well as GPIO #25. All other GPIO are unused and are available on a 25-pin long breakout line. Since we had a tiny bit of space, there's 4 flat tactile switches wired to four GPIOs, that you can use if you want to make a basic user interface. For example, you can use one as a power on/off button. 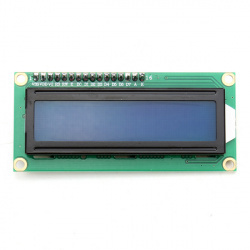 Comes as a fully assembled display PCB and an additional 2x20 GPIO header. Some light soldering is required to attach the 2x20 GPIO header to the HAT but it's fast and easy for anyone with a soldering iron and solder. You can also swap the plain female header we have with a 'stacky' type that lets you plug in a hat or GPIO cable on top or a slim ultra-low-profile header. To make it super easy for use: Adafruit have created a custom kernel package based of off Notro's awesome framebuffer work, so you can install it over your existing Raspbian (or derivative) images in just a few commands. Their tutorial series shows you how to install the software, play small videos, or display images such as from your PiCam and more! What's going to protect your beloved Raspberry Pi from an onslaught of rainbow-coloured fusion? That's right, it's Unicorn HAT. Sporting a matrix of 64 (8 x 8) RGB LEDs and powered directly from the Pi, this is the most compact pocket aurora available. Unicorn HAT provides a wash of controllable colour that is ideal for mood-lighting, 8x8 pixel art, persistence of vision effects, status indications, or just blasting colour into your surroundings. The MagPi said that Unicorn HAT was "one of the coolest HATs around"
We've put together a Unicorn HAT Python library to make it a breeze to use, including lots of beautiful examples of what it can do. 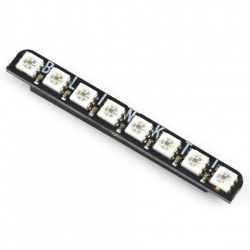 Warning: WS2812 LEDs are bright enough to cause eye pain, do not look at them directly when brightly lit. We recommend the use of a diffuser. Power: Unicorn HAT requires a >2A microUSB power supply for your Pi. We recommend the official Raspberry Pi power supply. Compatibility (audio): as Unicorn HAT uses PWM and GPIO18, it will interfere with analogue audio playback (random colour patterns and flickering). HDMI should work just fine! Please note: this add-on on board uses all but 6 of the GPIO pins on the Model B+ Raspberry Pi so it may not be possible to use other add on boards at the same time as the VGA adapter. Why a kit? We love electronics kits for a multitude of reasons - they are fun to put together, you get a sense of achievement at the end of it, they are great for learning about soldering and electronics and many many more reasons... At Pi Supply we are quite keen on the whole education and fun aspect of the Raspberry Pi and computing and electronics in general, so we feel that a kit is much more worthwhile to all of our backers. However, you don't need to be a soldering god or an electronics pro to put our kits together - Gert has made this simple enough even for absolute beginners to put together. The images in this project show surface mount resistors, however, for the purposes of the kit we will be supplying all through hole components. There was also a concern about EMC (electromagnetic compatibility) regulations which could cause a problem if made as a fully assembled board. This regulation does not cover home made electronics and so a kit makes more sense for this reason as well. 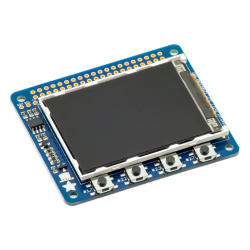 Adafruit's best-selling PiTFT just got a fancy upgrade, now we have a version with a capacitive touchscreen! That's right, instead of a resistive touchscreen, which requires a fingernail or stylus, you can now use a fingerpad. The screen looks much nicer, with a black bezel and glass overlay. 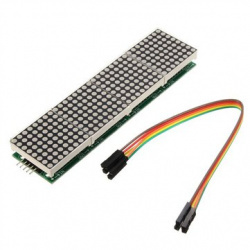 This version comes as a mini-kit, with a 2x13 extra-tall female header (to connect the plate to the Pi) and a 2x13 male header that can be used to connect an IDC cable or cobbler from the side. The photos above also show the optional installed slim tactile buttons. The tactile buttons are not included. Some basic soldering is required to install the headers. You can also pick up an extra-long Pi stacking header if you want to install that instead of the 2x13 female header installed. Please visit Adafruit for assembly and installation instructions. Please note: Raspberry Pi and LED matrix not included. You can now create a dazzling display with your Raspberry Pi Model A+/B+/Pi 2 or Pi 3 with the Adafruit RGB Matrix HAT. 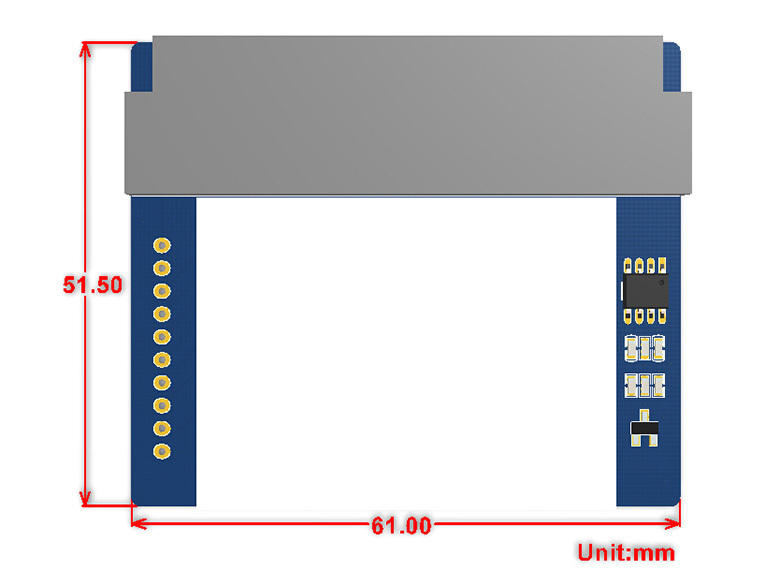 Each order comes with a HAT PCB with all surface mount parts assembled, a 2x20 female socket connector, a 2 pin terminal block, and a 2x8 IDC socket connector. A CR1220 coin cell is not included to make air shipping easier, please order one separately if you do not have one and would like to use the real time clock. Check out Adafruits full tutorial with schematics, wiring diagrams, instructions and a Python library so you can get drawing fast!